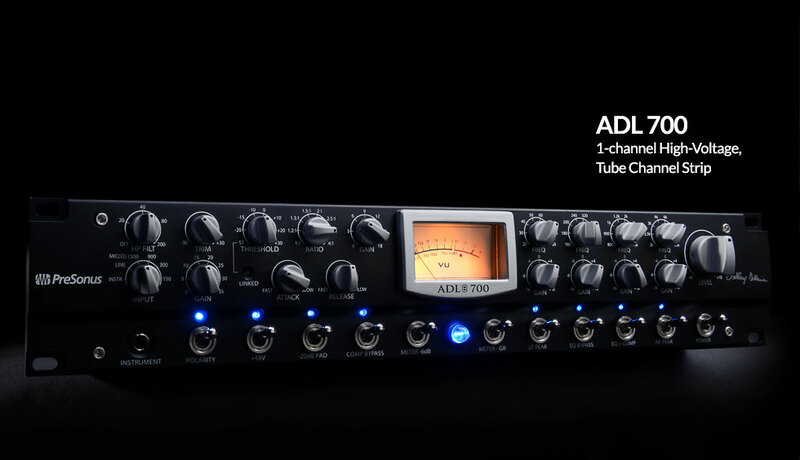 The ADL 700 Channel Strip, and Where to Get it. No compromises. This is, hands-down, our finest tube preamp to date. And while we hope you believe us, fact is that “must be heard to be believed” really is true. So, we’d like you to check out the following video starring PreSonus Artist Briana Tyson her cadre of usual suspects from around the PreSonus office. This video, a very special episode of PreSonus LIVE, feature the entire band running through ADL 600 and ADL 700 preamps. Guitars, keys, bass, overheads—everything. This relates to me how…..”Why? because we can!” This does nothing for me but make me weep for lacking deep pockets ….this guy can dream though. cool demo!!! What, no Utah? Sherman Oaks or Colorado… Vail! Why not post a high quality 24-bit wav file of the demo? Don’t have to worry about degraded YouTube quality.